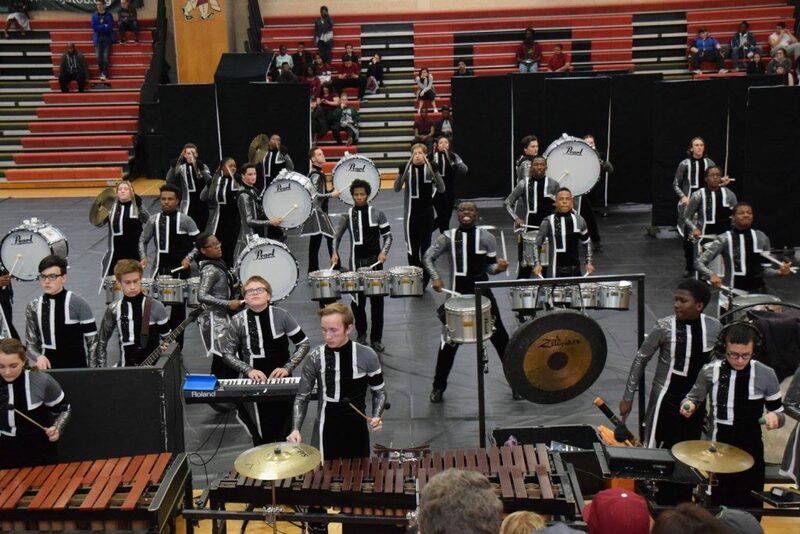 The goal of the Middletown High School Percussion Ensemble, or Indoor Drumline, is to provide students with a continued performance experience through the exposure to the indoor drumline activity. This endeavor will strive to be both educational and enjoyable for the members of the indoor drumline and the audience. The students will be introduced/continue to strengthen basic skills in the drumline activity as well as provide a basic movement education, experience in a performance setting and strengthen team building skills. The ensemble also encourages and produces a team leadership program that empowers students to lead an organization of their peers through positive support and guidance. Ultimately, through these experiences the students will have an added exposure to other cultural and artistic mediums that surround them in their community and activity.